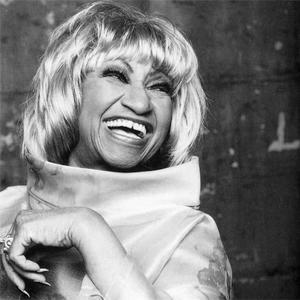 Celia Cruz (born as ?rsula Hilaria Celia de la Caridad Cruz Alfonso in La Habana, Cuba on 21 October 1925 ? died 16 July 2003) was a Cuban-American and was one of the most successful salsa performers of the 20th century, having earned twenty-three gold albums. She was renowned internationally as the "Queen of Salsa" as well as "La Guarachera de Cuba. In 1950, Cruz made her first major breakthrough, after the lead singer of the La Sonora Matancera, a renowned Cuban orchestra, left the group and Cruz was called to fill in. In 1950, Cruz made her first major breakthrough, after the lead singer of the La Sonora Matancera, a renowned Cuban orchestra, left the group and Cruz was called to fill in. Cruz was hired permanently by the orchestra, but she wasn't well accepted by the public at first. However, the orchestra stood by their decision, and soon Cruz became famous throughout Cuba. During the 15 years she was a member, the band traveled all over Latin America.